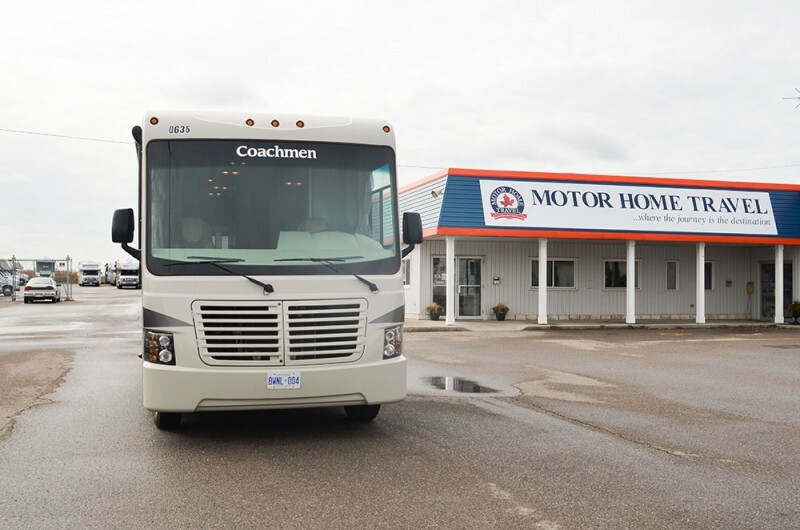 Have you experienced Motor Home Travel Canada? Help others learn about this company by sharing your first-hand information with other road-trippers. 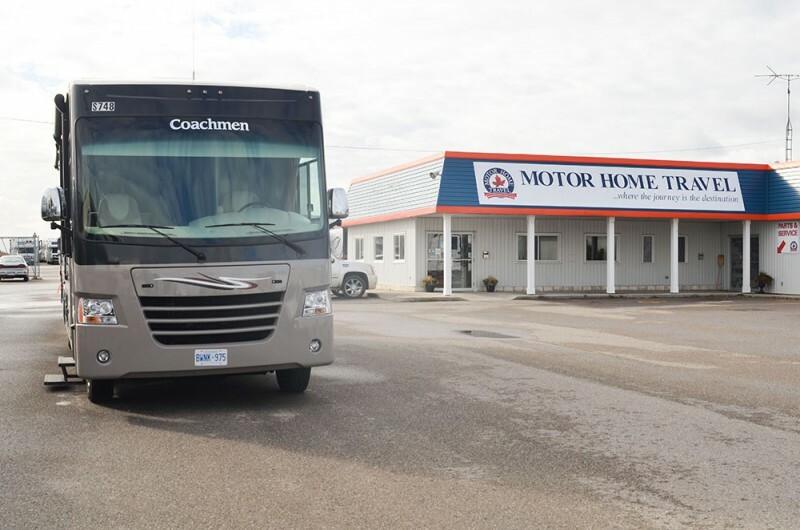 Motor Home Travel Canada is a one-stop RV shop that provides not just rentals but also sales, ownership, parts, and service to RVers in Toronto. Their rates depend on the season, though these are still decently priced, especially that every rental already comes with 100 KM per day. 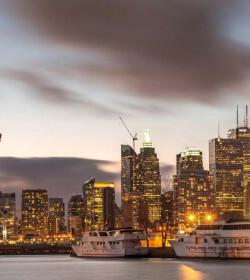 Further, they provide transfers to and from Pearson International Airport and surrounding airport area hotels for those with 7 nights or more rental. 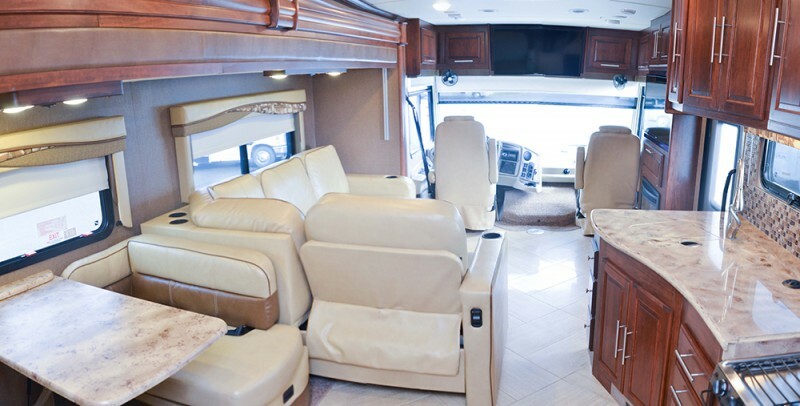 Their rental fleet is composed of Class A and Class C motorhomes that are meant to cater medium to large groups, from 4 to 9 people. 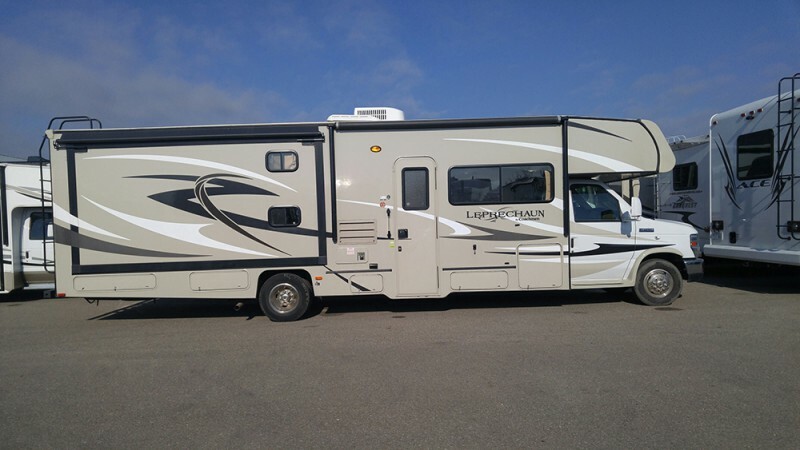 As of this writing, they have 7 motorhomes for rent, and most of these are 2014 and older models. The MHC24 RV is no doubt a breeze to drive. 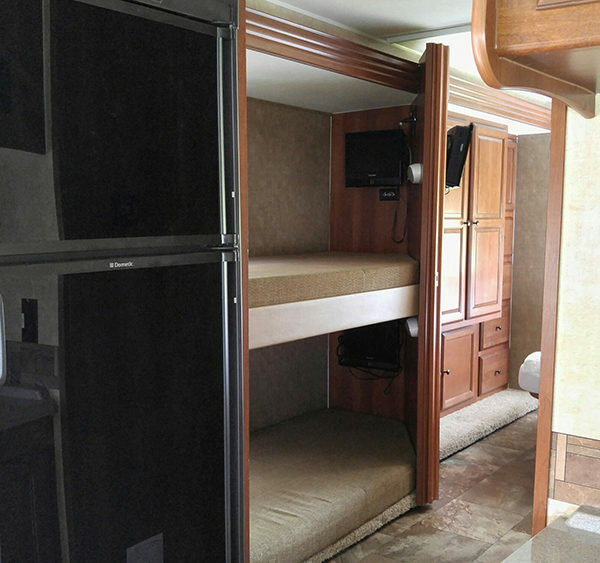 And even with its compact size, this Class C motorhome sleeps 4 adults 2 children comfortably. Thanks to its upgraded interior and dinette slide. 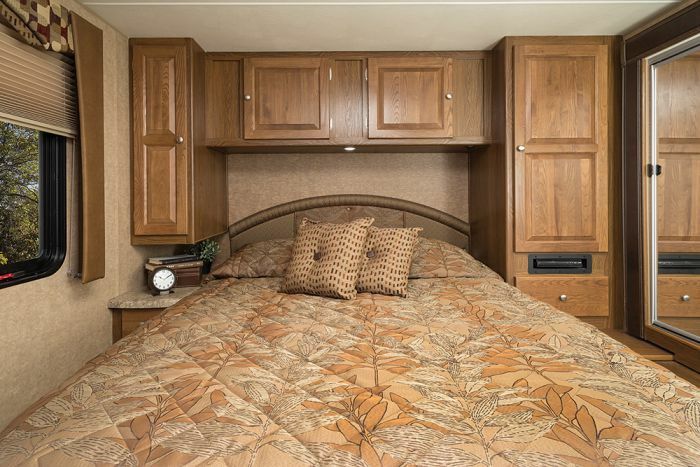 For sleeping areas, you could choose among the bunk bed, rear double bed, and dinette bed. Or, if you're just a traveling couple, then you can convert the cabover as an entertainment center. 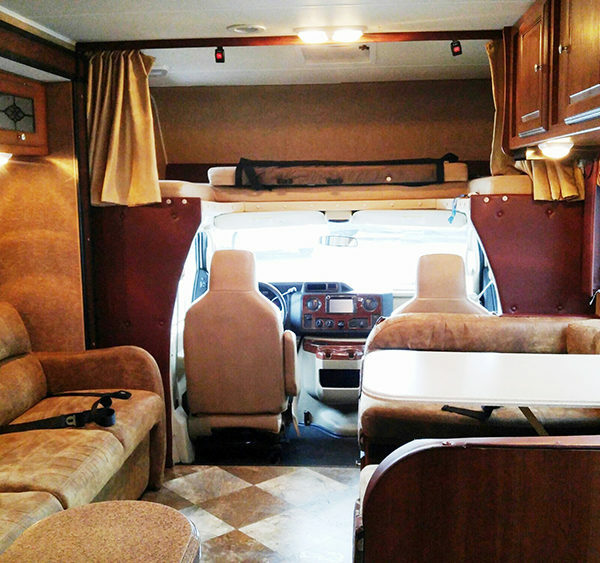 For 5 to 7 people, this medium-sized RV is a great option. 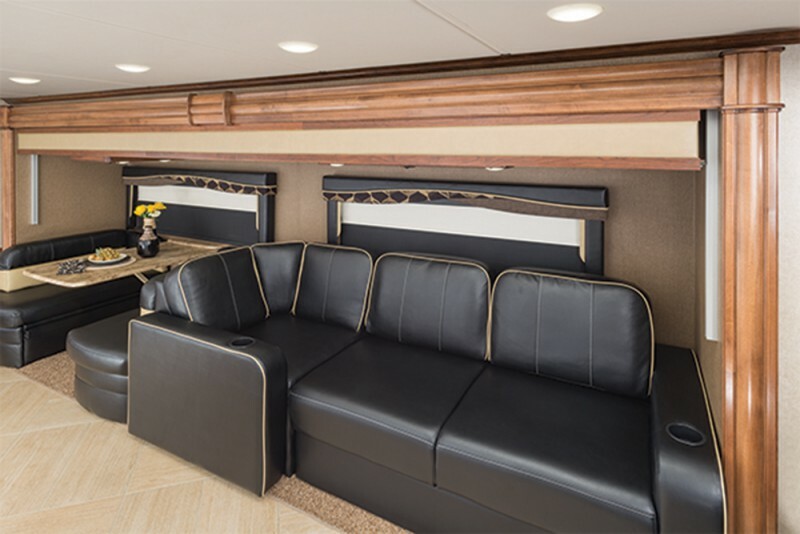 The MHC28 comes with an extended slide-out, making the interior more spacious and cozy. You'll also appreciate the step-up added before the rear bedroom that adds a bit of separation from the living room. Some unique features inside are the swivel chair at the back of the passenger's seat and the walk-in closet at the rear. 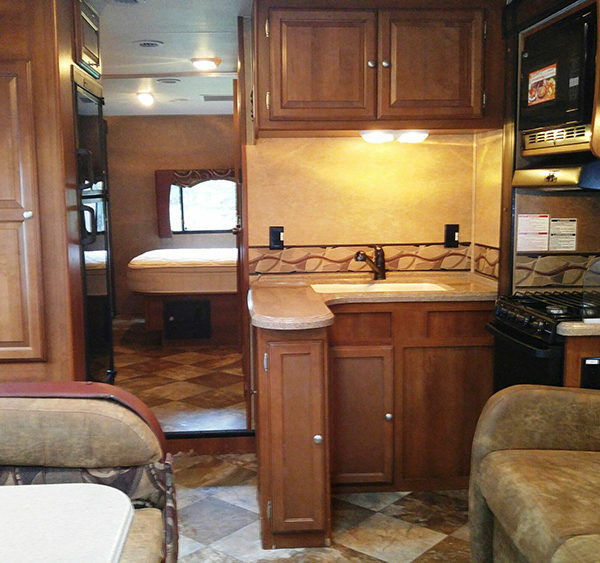 A bigger Class C motorhome awaits a family of 6 to 9. Sporting two slides, this 30' bunkhouse model has 5 sleeping areas―cabover bunk, sofa sleeper, dinette bed, bunk beds, and rear queen bed. The bathroom area is located between the L-shaped kitchen and rear bedroom. If you're bringing lots of stuff, don't worry because plenty of overhead cabinets are scattered inside, including a dresser. 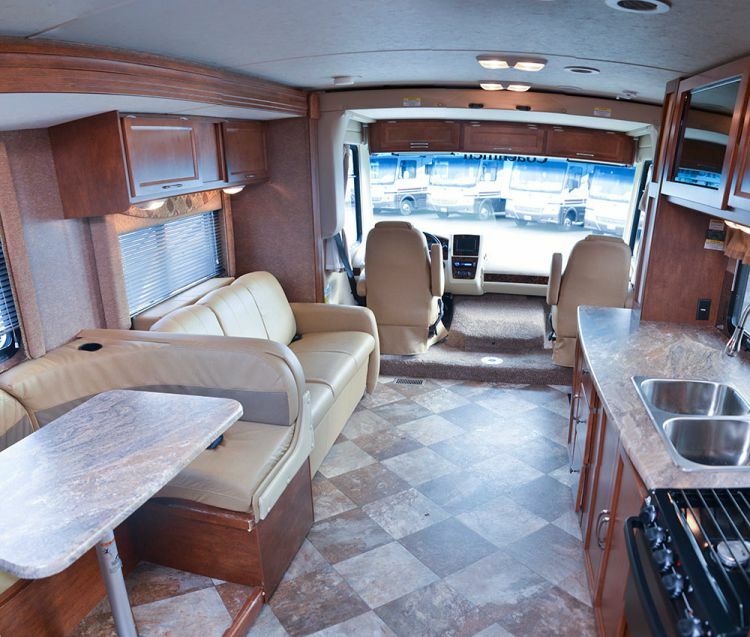 Also a 30' RV, the MHC 30-DS 319 is the best option if you're looking for a more spacious Class C model for a group of 7. 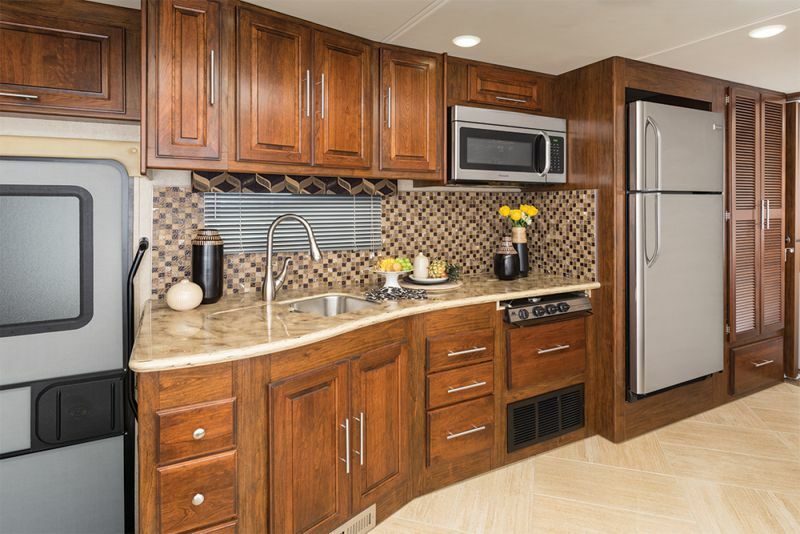 This one has almost the same facilities as the other 30' RV, except for its larger private bedroom, spacious kitchen galley, and separate shower and toilet. Not only that, you can choose between the optional recliners or the sofa. 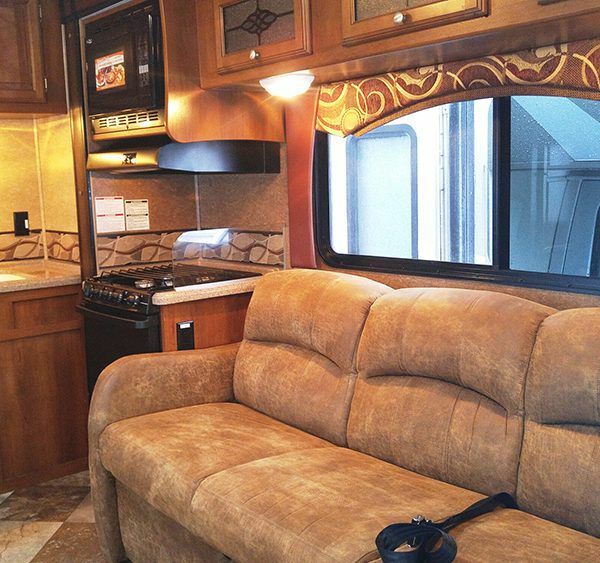 There's more sophistication inside this deluxe Class A motorhome. At 37', the unit only provides sleeping areas for 5 to 7 persons, hence giving more room for moving around. And of course, there are 2 to 3 slide-outs outlining the unit so expect for a more palatial and cozy living on wheels. To top it all, the unit has 2 to 3 TVs and 1 to 2 bathrooms, spelling out ultimate convenience while onboard. Because of its luxurious design and amenities, this is the priciest option on the fleet. 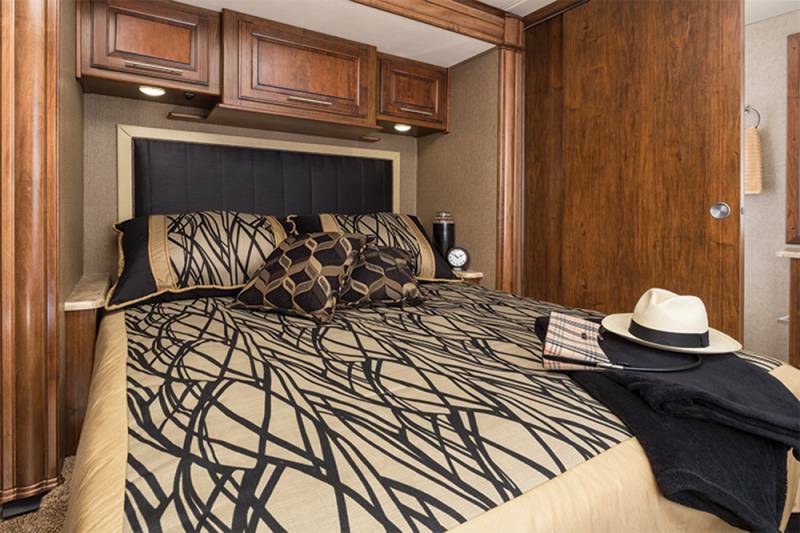 Styled with one full-wall slide-out, this 30' RV provides a super-expanded living room and bedroom. Drivers could easily take a coffee break because of the small cockpit table positioned in between their area. Or, they can climb up to the drop-down overhead bed and relax conveniently. Aside from the large indoor kitchen, you have another area to prepare your food―at the exterior kitchen. Also, there's an optional exterior LED TV to entertain you while cooking. 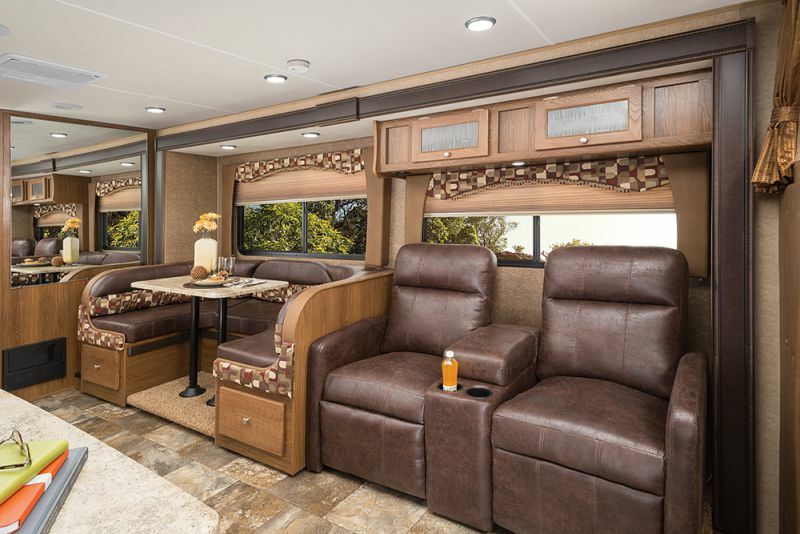 For large touring families up to 9, there's the 32'-35' Class A motorhome that comes with a queen bed, convertible bunk, hide-a-bed, sofa bed, and optional drop-down bunk. The MHADL is equipped with 2 slides, 2-3 TVs, and 1-2 bathrooms. 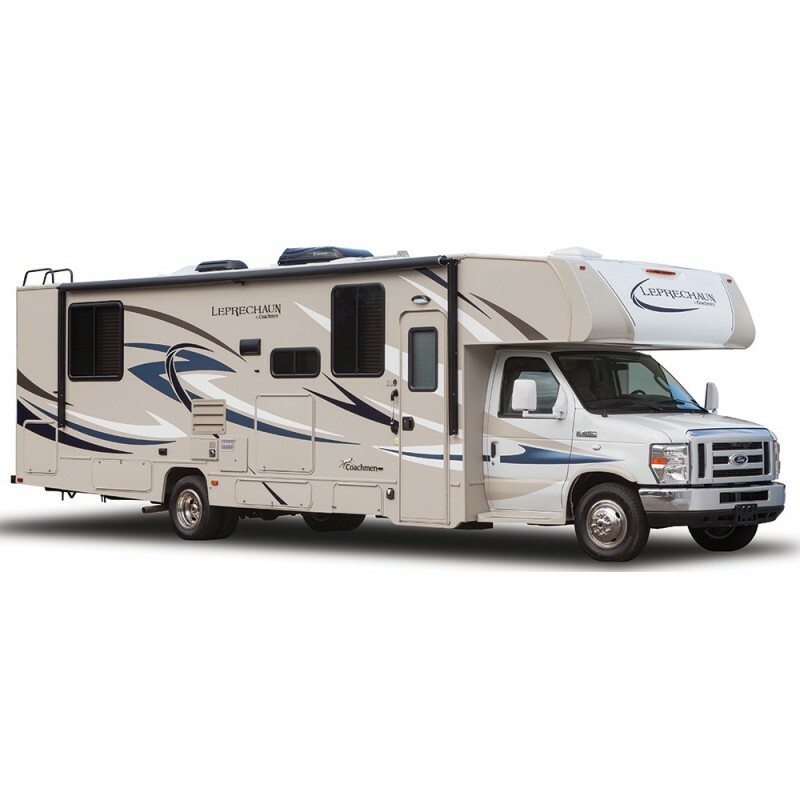 Motor Home Travel Canada offers different CDW depending on the unit. Their deductible is $4000 for Class A and $3000 for Class C RVs. Aside from that, they'll require a $500 non-refundable deposit and $3,000 security deposit. 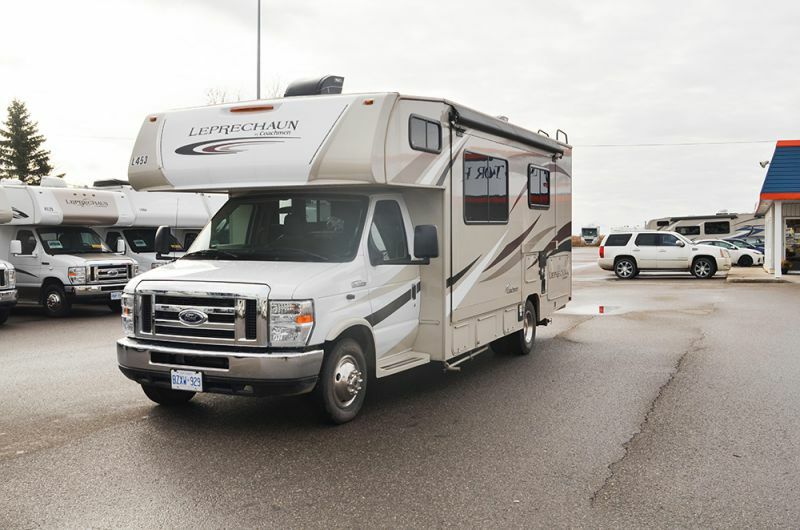 Over the years, Motor Home Travel Canada has serviced lots of renters. They have heaps of reviews online but the thing is, few of these are not-so-good feedback. Despite the unsteady reputation, they are one of the few companies in Canada who reply to their previous renters, whether it's bad or good feedback. This shows their willingness to improve their service. As of now, they still offer a great selection of units that are competitively priced. 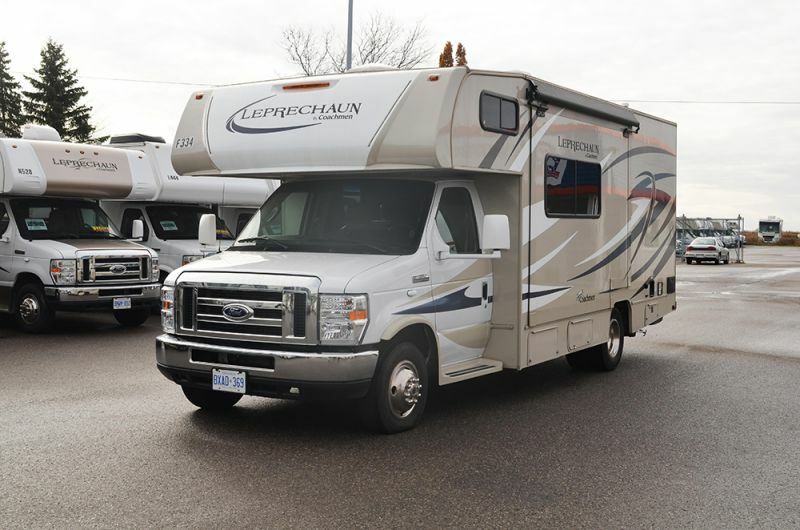 Motor Home Travel Canada's RVs might just be a good family motorhome for your family vacation. Just make sure to rent with caution, especially that they've got a quite unsteady standing. 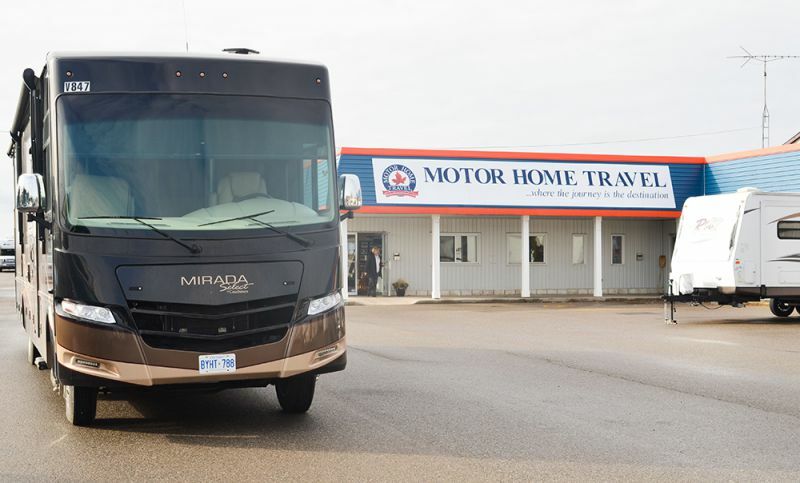 Have you experienced Motor Home Travel Canada?